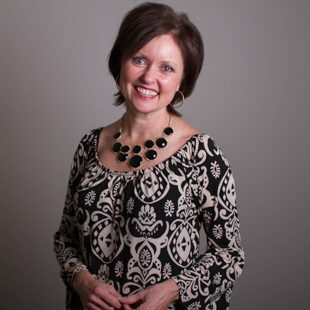 Grace Women’s Ministry exists to help women transform into fully devoted Christ-followers. As we shape our ministry around the values of worship, mission and community, we hope women will find joy in making Christ ultimate, in joining the work of expanding His kingdom and in developing authentic relationships that reflect His love. We will be offering both Tuesday morning (9:30-11:15 am, with limited childcare), and Wednesday evening studies (6:30-8:15 pm) at our Old Jacksonville Campus. Detailed descriptions can be found below! *Registrations for Spring Bible Studies are now CLOSED. For questions or more information, contact Cimber Cummings: cimberc@gcc.org. We will discover precious spiritual treasures for our lives today by studying the book of Ephesians. As we deepen our appreciation of God’s sovereignty and His abundant grace to us, we’ll also discover God’s plan for the world and our place in that plan. Get ready to grow in both your understanding of theology, as well as your ability to apply the Bible to your everyday life! As we explore the depths of God’s care tucked in this beloved psalm, we’ll learn to trade in the myth of self-reliance for the truth that God will take care of us — no matter what. We’ll also discover that our vulnerability is not a liability, but that God made us to need Him. No matter what your season of life, come learn how to release your fears and trust the Shepherd’s goodness! The Joyful Journey is a fun, yet easy-to-follow, approach to scripture memory. 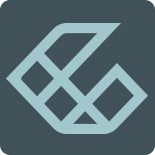 This Bible study is designed to: help you dig into a verse to better understand its meaning, spark your creative talents, especially if you think you’re not creative, equip you with a variety of scripture memory methods you will enjoy doing, and employ realistic lessons in retaining what you memorize. Through innovative scripture memory methods, you’ll gain a fresh perspective of how God cherishes you and how you were uniquely designed to memorize God’s Word. This study is designed to focus on the Biblical holy days of Israel, which can provide wonderful spiritual insights for Christians today. We will find these feasts reveal Jesus as the Redeemer who instructs us, as the redeemed, how to walk in His steps. In this “no homework” Bible study, we will meet each week and study the book of James together. Our desire is to learn more about God, His nature and His story, a “Spoonful at a Time”. We will be referencing Jen Wilkin’s book, Women of the Word, for helpful Bible study tools during our 10 weeks together. Suggested Materials: Women of the Wordby Jen Wilkin, Bible, spiral notebook, pen, colored pencils. Join us as we discover how to look to Jesus as our model for hospitality. Discover how He lived a life full of interruptions, yet always welcomed people and invited them to follow Him. Learn to replace cultural expectations with Biblical hospitality to create a legacy of invitation and reflect Jesus through simple acts of service. In this study, we will travel to the Holy Land with Lisa Terkeurst as she explains seven of Jesus’ “I AM” statements found in the book of John. Each will tell us something profound about Jesus. Since Jesus is the key to true satisfaction in our lives; the more we know Him, the more we will desire Him. 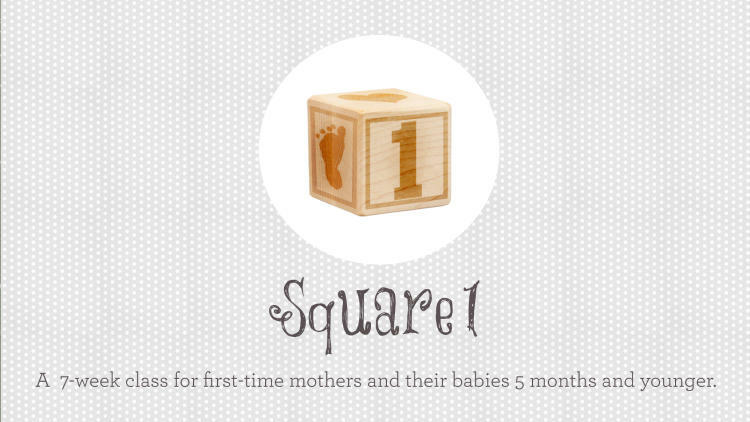 A 7-week class for first-time moms and their babies 6 months and younger! Square 1 meets on Tuesday mornings from 9:30-11:30 am at Grace Community Church (3215 Old Jacksonville Road) beginning Tuesday, February 19th (taking off March 12th for Spring Break) through April 9th in Room 22B. We can’t wait to meet you and connect you to other first-time moms who are figuring this whole thing out, as well as mentors who’ve walked through it! We also hope to offer encouragement and practical help on this new adventure. If you are a woman walking through a difficult season of infertility, miscarriage, or adoption, you aren’t meant to walk alone. Please join us as we support and encourage one another through God’s word while waiting with hope in Him. Our meetings take place on Tuesdays at 7 PM, in the Old Jacksonville Campus Bride’s Room (Chapel Hallway). Meeting dates include: January 22, February 5 & 19, March 5 & 19, April 2 & 16th. As a mom of preschool-aged children, you can easily feel isolated and lonely. MOPS (Mothers of Preschoolers) is a place where you can be connected with other moms in a similar season of life, while learning from mentors who have thrived through motherhood. Many moms have found a great community in MOPS and are so thankful for the godly wisdom gained from our mentors and speakers. Click HERE to learn more about this year’s MOPS theme – Find Your Fire! MOPS meets the 1st and 3rd Wednesday of every month (September – May broken into 2 semesters) from 9:15- 11:30 am. Childcare is provided for children 6 months to 5 years old. Cost is $70 (with childcare) or $50 (without childcare) per semester (September-December & January-May), and scholarships are available, upon request. Throughout the year, we will hear from speakers on a variety of topics like marriage, parenting, money, and so forth! We also have crafts, door prizes, and games, but we always set aside time for visiting with each other – all while your little ones enjoy some fun time with their playmates! Our MOPS group has about 50 moms who are divided into smaller groups of eight. Moms do not have to be a member of Grace Community Church to attend MOPS! FALL 2018 RETURNING MOMS: You will register yourself, pay your dues AND childcare fees all on the MOPS registration form. You DO NOT have to re-register the children you currently have in childcare. If you are needing to add a child, please register them after you register yourself and they will be put on the waitlist until we find them a spot. NEW SPRING 2019 MOMS: Please register your children first and they will be put on our waitlist until we find them a spot. We will contact you when they have a spot and then you can register yourself and pay your dues and childcare fees. A casual evening giving women of all ages and in all stages of life the opportunity to connect with each other over an issue with which all women wrestle. Join us to hear a thought-provoking speaker address the issue from a Biblical viewpoint, then stay for dessert and mingle with other women to continue conversations about it. No matter what the topic of the night may be, our hope is that women walk away with a stronger desire to be rightly connected to God, His word and others. 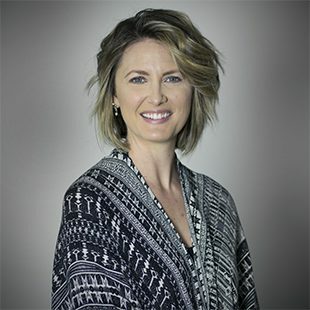 If you weren’t able to join us for our Women Connect Un|Stuck event, or you want to review the evenings’ content, you can access our recordings of it below! To view a video recording of the event, click HERE. To listen to an audio recording of the event, click HERE. To access the power-point slide content, click HERE. To hear what women said about this event click HERE. Disciples Pray. Let’s see what God does as we ask Him to move in powerful ways in our church, it’s various ministries, our community and the world! No experience needed. 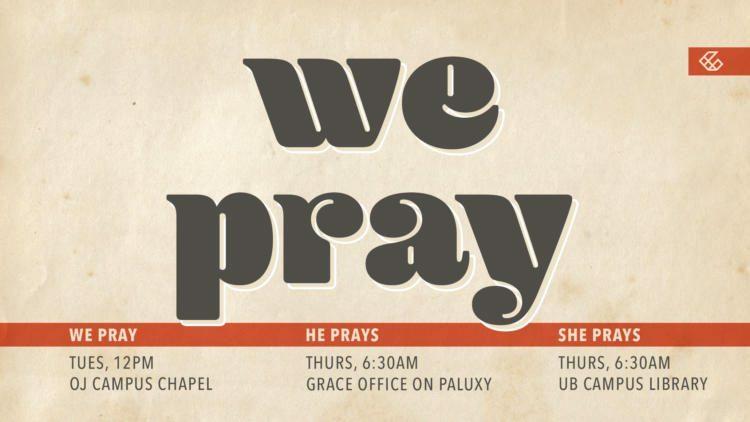 WE PRAY- Tuesdays at Lunch | 12:00pm – 1:00pm | Old Jacksonville Campus, The Chapel | Contact Laura Duncan (laura@brain-in-gear.net) or Ann Schwarz for more info (ceschwarz@sbcglobal.net). 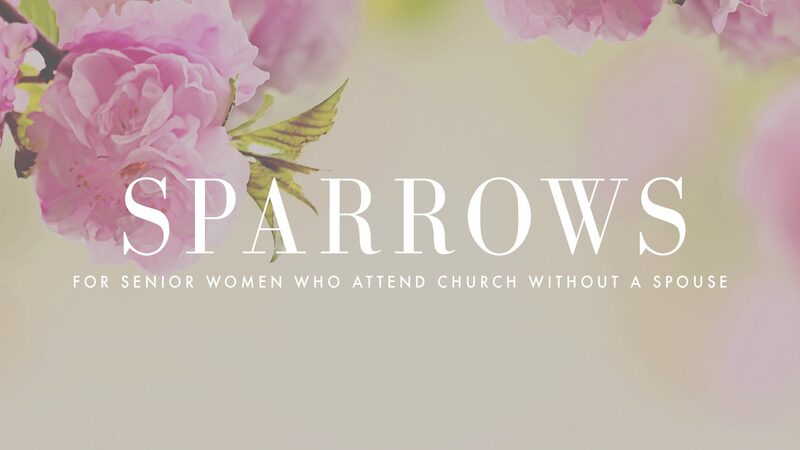 Sparrows is a ministry of encouragement for women who attend church without a spouse. Sparrows meet every 4th Thursday, September-May at 11:30 am to share a meal and an inspirational program. 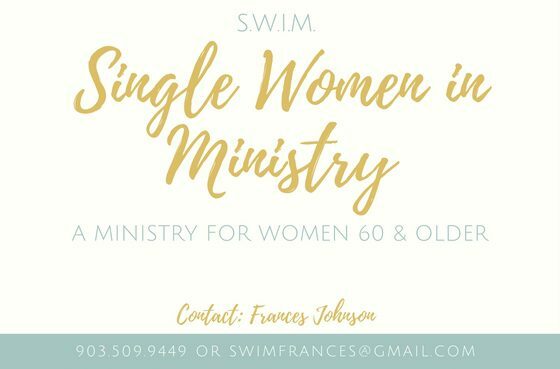 SWIM is a care group for adult single women ages 60-80+. We meet every Tuesday in Chapel Room 23 at the OJ campus. Our time together begins at 11:30 am with a sack lunch, followed by share and prayer at 12:30 pm and a study from 1:30 pm until 2:30 pm. Contact Frances Johnson at 903-509-9449 or swimfrances@gmail.com for more information.